Chair, Erin Stephens, called the meeting to order at 5:38 PM PST. Discussion: Nathan noted that he was 15-minutes a late but present. Discussion: Early Bird registration is open; things came together well. Feedback welcome. Much added to schedule. Stage will be open for whole festival. Main big gym remains juggling space and regular workshops. May not be able to use North Ballroom. We’ll probably be put into gym similar to Black and Gold gym. Not clear why we cannot use ballroom. First they were worried about props and then they said it had been reserved by others. They seem to be offered new dorm as youth dorm. Need to make sure all buildings we are using are as close as possible. We will all go to one dining hall. Discussion: Draft letter of agreement with Veronique and draft letter of agreement with Turbo. lloyd says he will send these drafts out in coming month. – Is Veronique OK with the agreement in English? Yes. Discussion: El Paso sent a revised proposal for 2016. But otherwise things are same as last month’s report. 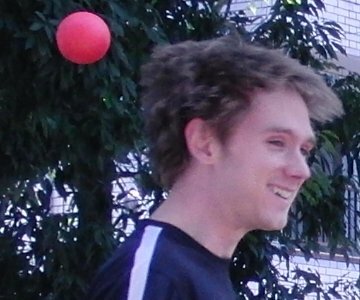 Discussion: Youth Jugglers’ Academy replaces YEP. Moving ahead with button creation. Ellen writing eJuggle article on this. Discussion: Marketing success with Facebook photo contest. There were close to 350 votes. Now working on marketing on Early Bird ticket sales. Will continue to support. Cody did an eJuggle piece. Thom Wall will start video contest in April. And we’ll need to market World Juggling Day. Discussion: Numbers low this month. Will Early Bird bring them up? Question as to why they are now low. People who signed up earlier last year may have dropped off, and Early Bird may bring them back on. Q4 Financials are not done. I reached out to Holly to offer my help to expedite the process. Discussion: 2013 not done, but Holly trying to finish. Starting form required by Deleware, with financials, plus how many hours per month board members spend. Scott will put this in forum. What about gift certificates being issued? Are they being accounted for? Are we using those to pay people for writing? eJuggle writers are being paid with store credits, apparently. Need to bring eJuggle into conversation. It will be hard to make paper trail people can understand in the future. But perhaps the store credit approach saves us money. It gives Scott leeway to negotiate with people. Scott Krause will talk to Scott about how to manage this. Need to find out where this stands after two years. Spent $1100 over what we were meant to spnd on Fun Fund. Can come out of unspent funds. Holly worried that she does not have all the info she needs to finish financials. A. Motion to approve amended video contract with Pablo Leon. Discussion: Will we stick to contract this time? We will be more professional this time and Nathan will handle directly. Also, forfeiture will come from second half of payment. A. Website discussion – Donor discussion. Discuss and answer some questions presented by potential donor. Lloyd will send donor letter to Mike and he will draft response. B. Bookkeeper position discussion. (Lloyd Timberlake) Got about five reasonable applicants and need to decide how ro move forward. Scott could participate outside business hours + Erin and Lloyd. C. IRC Mexico: there is offer to host third regional IJA. We would split prize money and medals. Erin will launch straw poll proposal. It is nice to pass on responsibility to local organizations.